Moderate drinking is perceived as a perfectly normal and harmless activity. It is a popular way of socializing, relaxing or celebrating special occasions. People who get repeatedly drunk may be the only ones who get reprimanded and judged. They are perceived as engaging in risky, irresponsible behavior that could harm themselves or others. But other times, only those who can’t function normally because of their drinking are labeled as problematic, and people who clearly drink to excess are excused because it seems they are able to manage their daily affairs despite their questionable habits. Because alcohol is such a widely available product, there is confusion about what should constitute socially and medically acceptable norms of consumption. 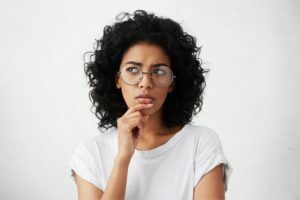 Questions of risk, reward and possible consequences are obscured or avoided, based on ingrained cultural attitudes that remain largely unchallenged. There is no clear awareness of the differences between social drinkers, problem drinkers and alcoholics. People are not being educated about the warning signs of alcoholism, and as a result they are too often ignored. If you are uncertain whether your drinking or the drinking of a loved one is unhealthy, you need the help of an addiction specialist who can evaluate your behavior and make sensible recommendations for treatment based on their findings. Call (888)-459-5511 today to find out more about the help that is available if you need treatment for substance abuse. What is a Social Drinker? While there is no official social drinker definition, there are some generally accepted guidelines for safe drinking limits. Men aged 21-65 should have at most 14 drinks per week, with no more than four at any one sitting. Women and people over 65 should have at most 7 drinks per week, with no more than three at any one sitting. While these guidelines may seem useful, in fact they may have limited applicability. A true social drinking definition would have to factor in each person’s ability to handle alcohol (no two people are exactly alike here), and there is no universal standard that allows us to do so. As it stands, the guidelines listed above might be considered unrealistic or overly restrictive in some cultures. They might make sense in a Mediterranean country like France, Italy or Spain, where it is customary to drink a glass of wine with dinner. But rigid standards don’t necessarily dovetail with the need for people in other cultures to relax and celebrate by drinking. In the United States, for example, someone who drinks larger amounts on a semi-regular basis would likely still classify themselves as a social drinker. To correctly answer the question, what is a social drinker, we must develop a social drinking definition that is based more on actual consequences than an arbitrary standard. We can say that a social drinker is someone who engages in regular alcohol consumption in various social settings, without creating obvious life disruptions or serious physical, mental, personal or financial problems. What is Social Drinking Behavior? Drink occasionally and only in certain social situations. Seldom if ever drink to the point of intoxication. Seldom if ever say or do anything you regret while intoxicated. Do not get in trouble with other people or with the law because of alcohol use. Do not spend more than you can afford on alcohol. Do not think about alcohol when you’re sober. Do not question your own alcohol consumption. Do not face scrutiny or criticism from family or friends because of your drinking. What are the Benefits of Social Drinking? To relax. Many people who live stressful lifestyles (which is just about everyone these days) come to rely on a drink or two, alone or with loved ones, to help them relax after work. To fit in. At parties and other gatherings, people may use alcohol as a way to reduce their social anxiety and feelings of self-consciousness, or simply because others are doing it. To celebrate. Weddings, birthdays, milestones, job promotions, the Super Bowl: you name it, and if it’s a happy, exciting or meaningful event it’s likely the alcohol will be flowing. For better heart health. 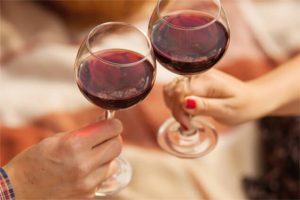 Some studies suggest that small daily doses of alcohol (like good quality red wine) can be beneficial for health, and specifically for the heart. There are of course other ways to relax, fit in, celebrate or promote better heart health. But in our culture many people start drinking without giving it a second thought . What are the Dangers of Social Drinking? Every drunk driver is prone to accidents, which can be fatal to themselves or the innocent. Pregnant and breastfeeding women can endanger their babies if they drink. People may take particular types of medications that don’t mix well with alcohol. Individuals who are vulnerable to alcohol—for example, those who have alcoholics in their family—may see their “social drinking” spiral out of control in as little as a few weeks. Social Drinker or Problem Drinker? There are non-drinkers, occasional drinkers, social drinkers and alcoholics. But what about heavy social drinking, where people pass out every other weekend? They don’t feel the urge to drink during the week and lead an otherwise functional life, but may spend Friday night through Sunday in an alcoholic stupor. That form of alcohol use is classified as problem drinking. It typically occurs in the period between the late teenage years and early twenties, among those who are in high school or college and heavily influenced by peers. Young problem drinkers start out seeking to forge close social bonds. Oftentimes, these people can reduce cut their drinking later on, after they mature and begin to take on more life responsibilities, such as beginning a career, starting a family, surviving an adverse drinking experience, and so on. So a strong incentive is enough to make a problem drinker stop. And because they can do so suddenly and without withdrawal symptoms, they could not be classified as addicted. Social drinkers do not necessarily descend into alcoholism. That is a long process involving many factors. Social drinkers have fundamentally different motivations when drinking than alcoholics. They can stop anytime, if they have a good enough reason to quit. Alcoholics, on the the other hand, can have the best incentives and good intentions, but they are unable to cut back on their drinking without help from treatment professionals. Developing alcoholics are often in denial about their relationship with alcohol. They need to rationalize their behavior, which becomes increasingly dangerous and embarrassing. 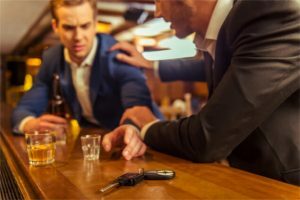 They usually recognize and acknowledge their problem only after an accident or a meaningful, negative alcohol-related event—or after they hit absolute rock bottom. When your drinking is driven by compulsion or need rather than choice, it is time to take a close, honest look at your behavior. You may be in danger of slipping into addiction, if it hasn’t happened already. 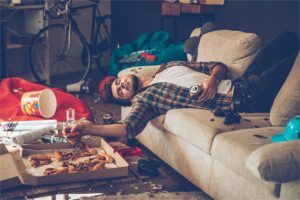 If just a few of these signs of alcoholism are present, you should quit social drinking (and any other drinking) immediately and seek the counsel of an addiction treatment specialist. Do you miss alcohol if you have to go without it for too long? Do you drink when you’re happy and when you’re sad? Do you make an effort to hide your drinking, or do you lie about it? Do your friends or family criticize your drinking? Have you ever felt like you wanted to cut down on your alcohol consumption? Do you regret spending too much money on alcohol? Have your hangovers caused you to miss important events, or damaged cherished relationships? If you answered yes to any or all of these questions, it likely indicates that you’re more than just a social drinker. If you party every week, stop drinking for, say, a month. Still attend the parties but stay sober, and observe how you feel. Is it difficult for you to socialize without alcohol? Do you feel stressed or uncomfortable with yourself? Were your interactions with people satisfying? Was it more than a little difficult to resist the temptation to drink? An experiment like this is a good way to gain insight into your drinking habits, because it allows you to evaluate how much you depend on alcohol while socializing. If you’re dependence is strong, your drinking may be something more than social—or at least heading that way, if you don’t take steps to reverse the trend. How Can You Drink Responsibly? Assuming you’re not an alcoholic, drinking responsibly means drinking with full conscious awareness of what you’re doing and why you’re doing it. Never mix alcohol with medications or other substances. Always eat something before drinking alcohol. Be sure to drink water before drinking alcohol. Don’t drink when you are in a bad mood, stressed, tired or sad. Learn to recognize when to stop – and do it. Alcoholism must be acknowledged before it can be mastered, but you shouldn’t try to do it all on your own. If the time comes when you can no longer control your drinking, you should ask for help without delay. Call (888)-459-5511 right away to find out more about the available options for alcohol dependency treatment. Can I use some sentences as guidelines for my research study? and if ever yes, whom could I address the words? like (jennings, 2018)? As a non-drinker aka someone who has never consumed alchool. 3-4 drinks in one setting can certainly be borderline drunkenness. I realize there different tolerances and different alcohol products. If you have to drink 7+ glasses of the poison in a week you are drinking alot. I drink approx 6-7 glasses of non-concentrated fruit juice in a week (1 per day) and I consider that lots.